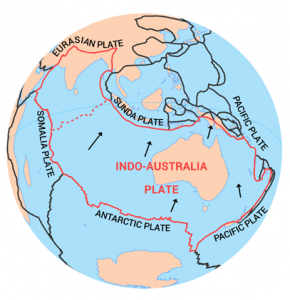 The Indo-Australian Plate is one of Earth’s 7 major plate tectonic boundaries. Of the 7 major plates, it’s the second smallest being slightly larger than the South American Plate. By the name, you can probably identify that it contains parts of India and Australia. But as with most tectonic plate boundaries, they often consist of both continent and ocean crust. The Indo-Australian Plate includes the majority of the Indian Ocean. It borders the Eurasian Plate in the north, the Antarctic Plate in the south and the Pacific Plate in the east. Continental drift means that plates are never idle. Over time, they move at a snails pace. For example, the Indo-Australian Plate moves at an average rate of about 3 centimeters per year. 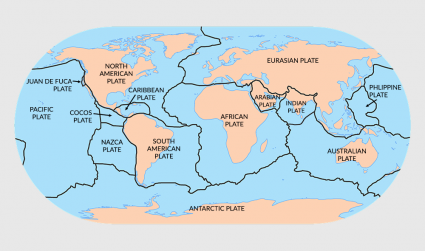 The Indo-Australia plate is a major plate combining the Australian and Indian Plate. But they are widely considered to be two separate plates. The Indo-Australia plate stretches from Australia to India. It also includes the oceanic crust from the Indian Ocean. The north-east side of the Australian plate converges with the Pacific Plate. 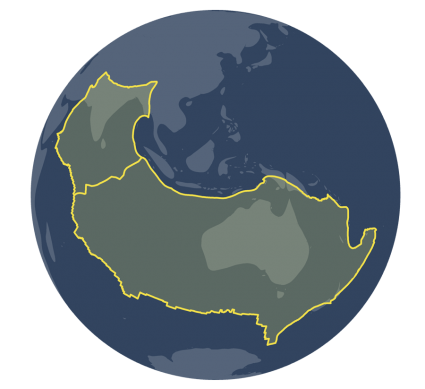 Long ago, Australia, India and Antarctica were once connected as the supercontinent Gondwana. As part of the supercontinental cycle, India drifted apart moving northwards. At about 58,900,000 km2, the Indo-Australia plate is the sixth largest plate tectonic boundary. Both countries of India and Australia are situated on the Indo-Australia plate. But what about some of the other major countries in the world? Which plates are they on? Read more about the fascinating science of tectonics.